Málaga Tapas Tour - Discover the exciting flavours of Málaga! The best way to enjoy magical Málaga by night! Málaga has become one of the country’s top dining destinations, and this Wine Tasting & Food Tour will introduce you to all its culinary highlights in a fun and exciting way! Strolling through the mesmerizing illuminated streets of Málaga by night, tasting some of the best local wines while nibbling on some delicious tidbits, you will soon be under the spell of this atmospheric city. 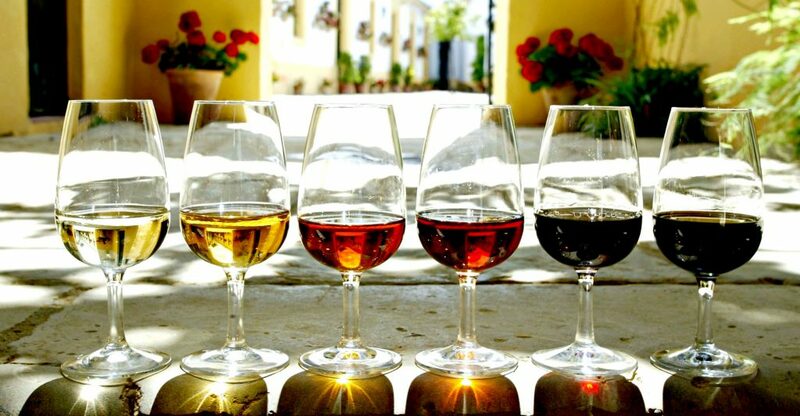 You will try several Málaga sweet wines, some refreshing white wines and fruity reds and even an artisanal vermouth. You are welcomed by the friendly owners and staff of local restaurants, bars and taverns, where you will be offered local specialties like Iberian cold cuts and fresh seafood. Food, wine, culture, history and fun! 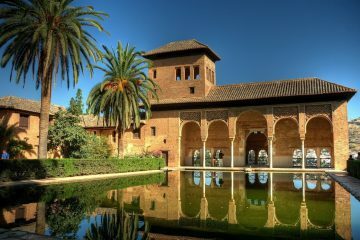 Discover the hidden gastronomical treasures of Málaga during this 3,5 to 4 hour long evening tour. Designed for lovers of food and artisanal produce. This Wine Tasting & Food Tour brings you to chefs and local vendors whom will show you the finest of the local cuisine; several tapas and drinks that are typical for the area. 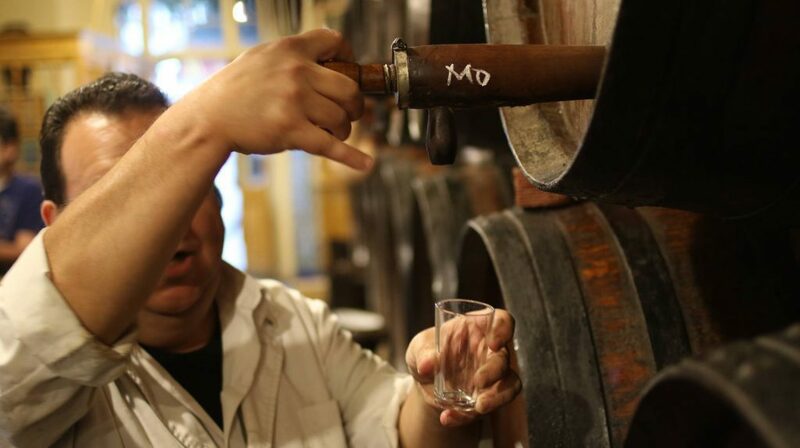 The Málaga Wine Tasting & Food Tour starts with a visit to one of Spain’s most charming taverns, founded in 1840, where you will have a glass of the most typical wine of the Málaga region. Of course an Iberian ham tasting is part of this Málaga Wine Tasting & Food Tour. For this we enter an ‘ultramarinos’, a small family-run grocery store, where the ham will be cut by hand, especially for us. This is an exclusive and authentic experience. Also you will have a vermouth, accompanied with cold cuts and cheeses in a small, local bar. This will definitely bring up your appetite, just in time to vist a few loved-by-locals restaurants and eateries. Next to its traditional cuisine, Málaga has seen a rise in modernism and cultural avant garde that has been an important influence on today gastronomy as well. During the Málaga Wine Tasting & Food Tour you will have the opportunity to visit chefs who combine traditional and modern recipes in various manners. Their unique creations might surprise you, in a good way. The Wine Tasting & Food Tour will bring you an exciting and enchanting experience in the magical Málaga-by-night atmosphere, combining foods, drinks, culture and history for an everlasting impression of this beautiful Andalusian city. This Málaga Wine Tasting & Food Tour is open for adults and children and will start every Tuesday to Saturday, on 6:30pm. Meeting point is at Calle Marqués de Larios, 18, outside the Women’s Secret store. Please fill out the Reservation Request form on this page and tell us when you would like to do this tour and with how many people. If you have any questions regarding the Málaga Wine Tasting & Food Tour, then please contact us directly. 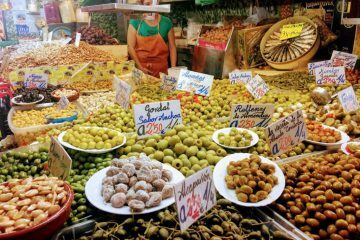 Would you rather do a tapas tour during the morning, including a visit to the local fresh market, then have a look at the Málaga Tapas Tour.